In a medium to large casserole dish/pyrex dish, add the coconut oil, pumpkin, onion and garlic – ensure vegetables are coated in coconut oil. Place in the pre-heated oven for 10-15 minutesuntil pumpkin is beginning to soften. 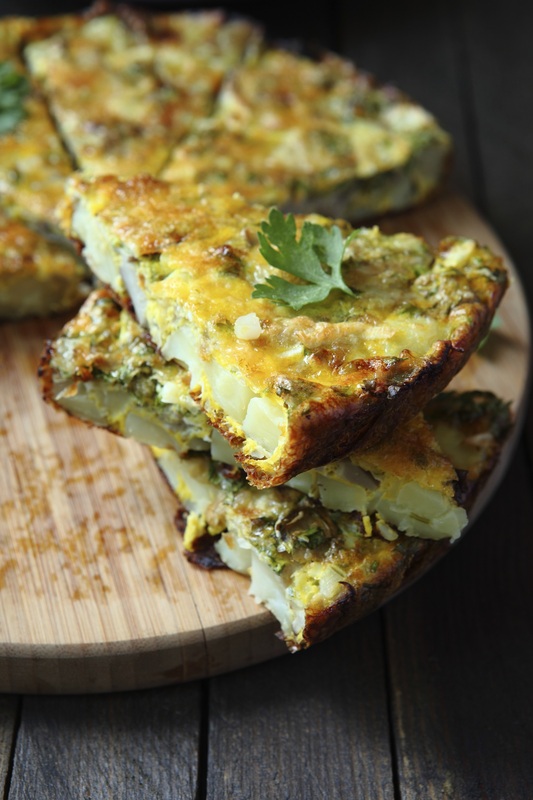 Return to the oven and bake for 20-30 minutes until the frittata is firm but not overcooked. Remove from oven and allow to cool for 10 minutes before slicing into pieces.